mantudel2's review (This content has been automatically translated from French)" practical and versatile, indispensable for me"
15 years ago, there was the Sony Minidisc portable recorder as practical. What progress since, both in sound, design quality and value for money products on the market. The Roland R-26 is still distinguished from others in my choice. * The very neutral sound with my NT5 connected to it. * The ability to let the camera look a little sensitivity as the quad-capture of the same brand. very good for this size of equipment. Just one caveat perhaps for the lack of battery to really do without the current. 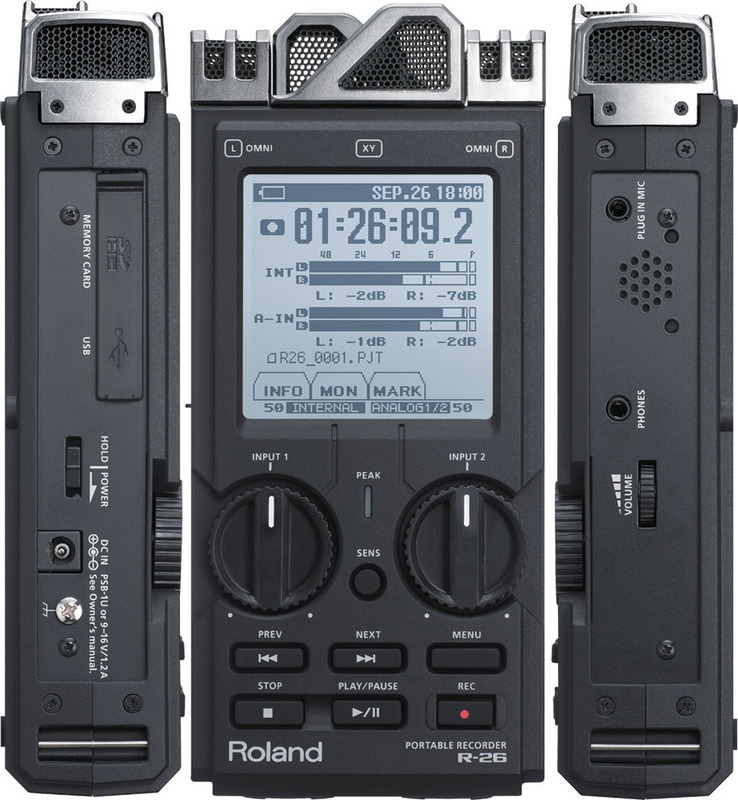 MarcP's review (This content has been automatically translated from French)" use Roland R26"
I am a former soundman "refurbished" when shooting, but I always keep a magneto with me. 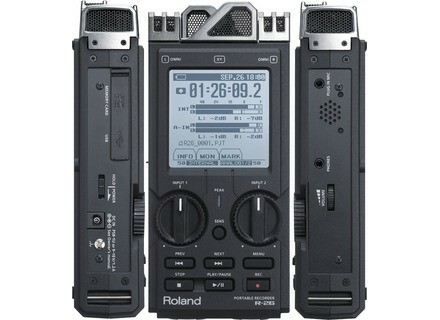 Using a H4N 2 years, I was not very pleased with the internal mics and omnis being a fan, when I saw the Roland out, I rushed to my seller. Since I went to Antarctica in Thailand and do many taken from his room with a pole and a small cannon Audiotechnica BP4029 stereo. In April, I recorded a concert of early music with a couple Octava on six tracks, great practice facility and mix. I must say it fills me with pocket tape recorder, good quality 6 tracks, touchscreen practice it is very logical. In short, with its indispensable Rycotte windscreen I do not ever separate.